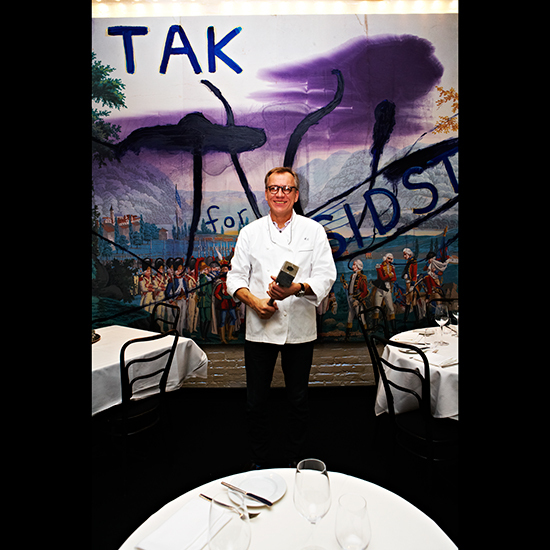 Austrian chef Kurt Gutenbrunner of New York's Wallsé, Blaue Gans and Cafe Sabarsky is so particular about his schnitzel that he'd grab his favorite cutlet hammer before fleeing during an emergency. Read more about his favorite things in Treasured: Kurt Gutenbrunner’s Schnitzel Hammer, then check out his best tips for making the classic dish, below. 1. Use veal. It is very important that the meat is nice and pink and light in color. 2. You need to know how to cut it the right way. We usually butterfly. You must cut it against the grain. It’s important to understand how the muscle works. 3. Don’t pound it too hard. We use a ziplock bag so the mallet doesn’t hit the meat directly. 4. Use good bread crumbs, preferably made out of baguettes. They are the best bread crumbs you can have. No dark bread, just baguettes.